Draws and final results - click here! 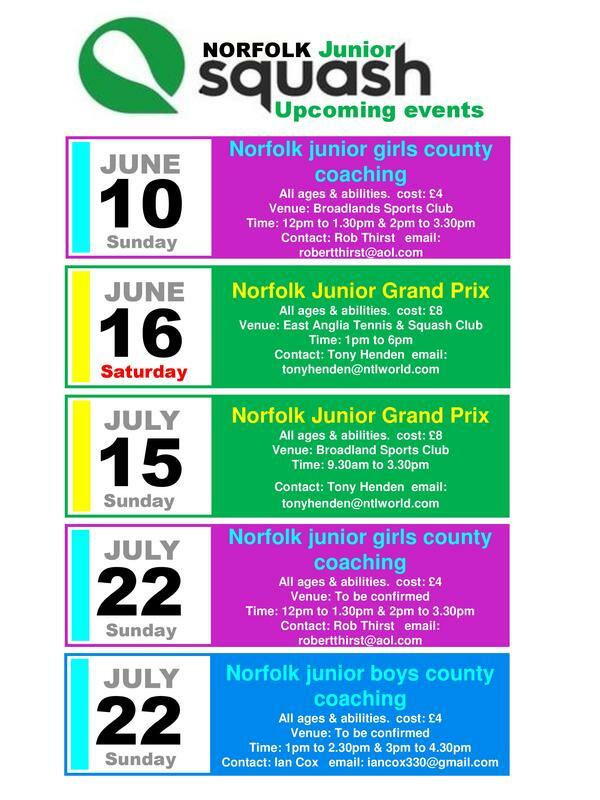 Norfolk Closed championships starting this Thursday! Draws and schedule are out!!!! Click the image above for Championship website where you'll find draws, schedule and venue details. Arrive at least 15 minutes before your start time to sign in. Sign-in at the bar area. 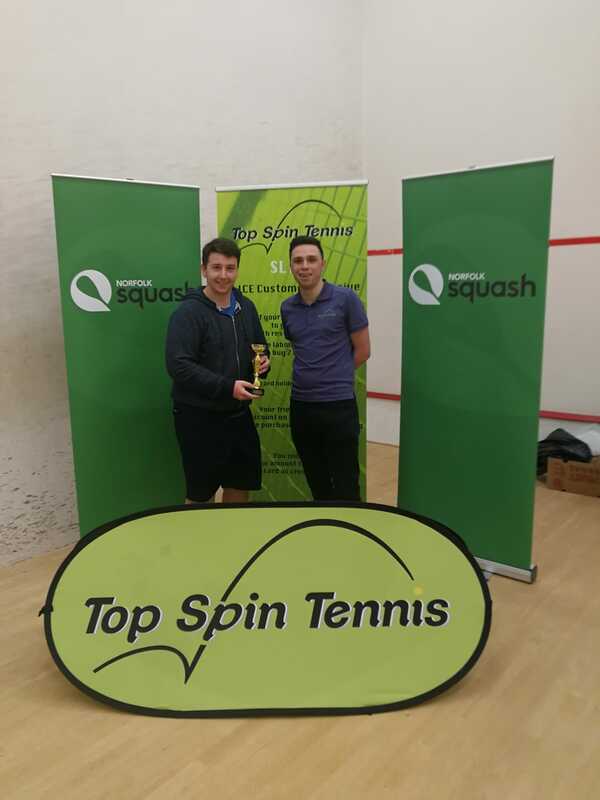 This year’s Norfolk Squash Closed is kindly being sponsored by Top Spin Tennis. Despite the name they offer a comprehensive squash racket collection from major brands such as Karakal, Head, Dunlop & Black Knight. Top Spin offer a 1 hour turnaround time* on squash restrings with a wide variety of string to choose from. A specialist is always on hand to offer expert advice on all products and services. 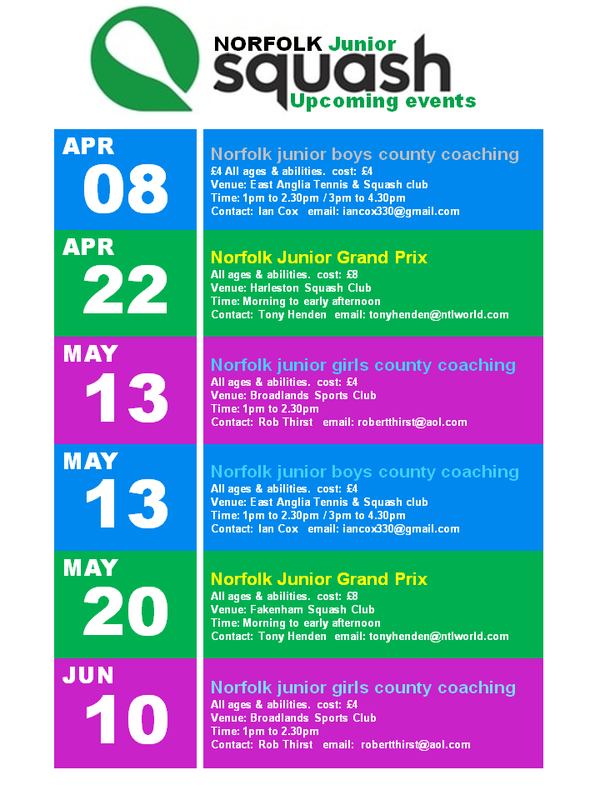 The main squash shop is situated inside East Anglia Tennis & Squash Club in Norwich. Go to their website for more details www.topspintennis.co.uk. 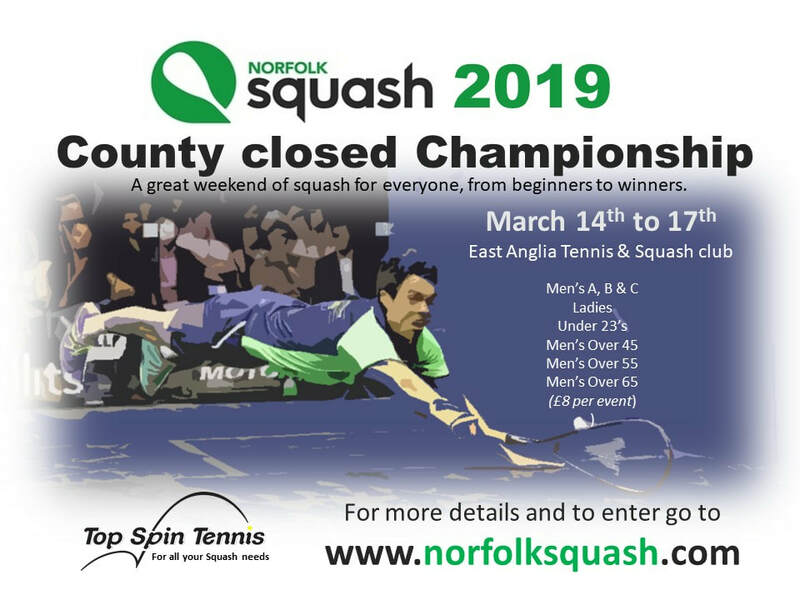 Entries are now open for the 2019 Norfolk County closed Championship. There is a category for everyone, whether you have only been playing a few months or are a seasoned pro. Entry open to the next Junior Squash Grand Prix! The draw & start times will be emailed to all entrants on Friday 20th April. 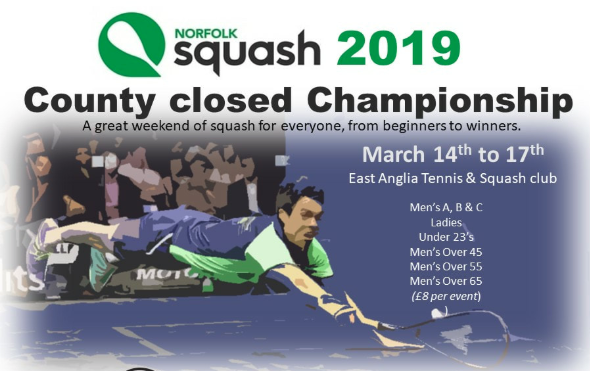 Please send entry form, together with entry fee of £8, cheques payable to: “Norfolk Junior Squash” to Tony Henden, Broadland Sports Club, Main Road, Fleggburgh, Great Yarmouth, NR29 3AE. For payment by bank transfer to NJS, account details available on request.